Nividia is apparently shipping two different versions of its GeForce MX150 GPU with different categories of notebooks. According to NotebookCheck, the slower version of the GPU is clocked at under 1GHz and is featured in a number of 13-inch ultrabooks, such as the Lenovo IdeaPad 320S, Asus ZenBook 13 UX331UN, Xiaomi Mi Notebook Air 13.3, HP Envy 13 and the ZenBook UX331UA. The standard version of the chip, meanwhile, is clocked at 1.5Ghz, and can be found on the bigger, more powerful models that are specifically aimed at the gaming market. 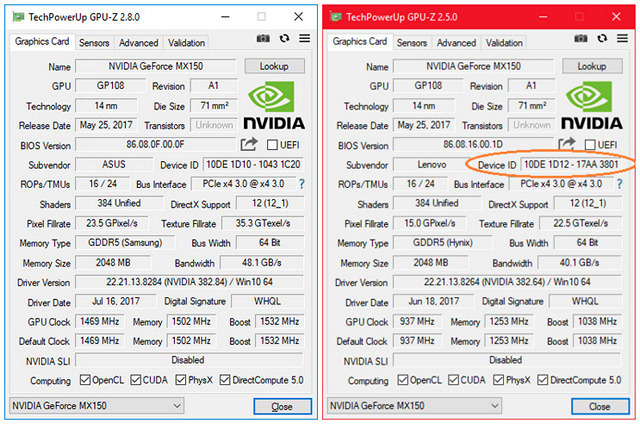 As can be seen in the comparative screenshots below, the faster version of the MX150 chip is the ‘1D10’ variant, which is the only one officially announced by Nvidia. The under-clocked version, meanwhile, comes as ‘1D12’. 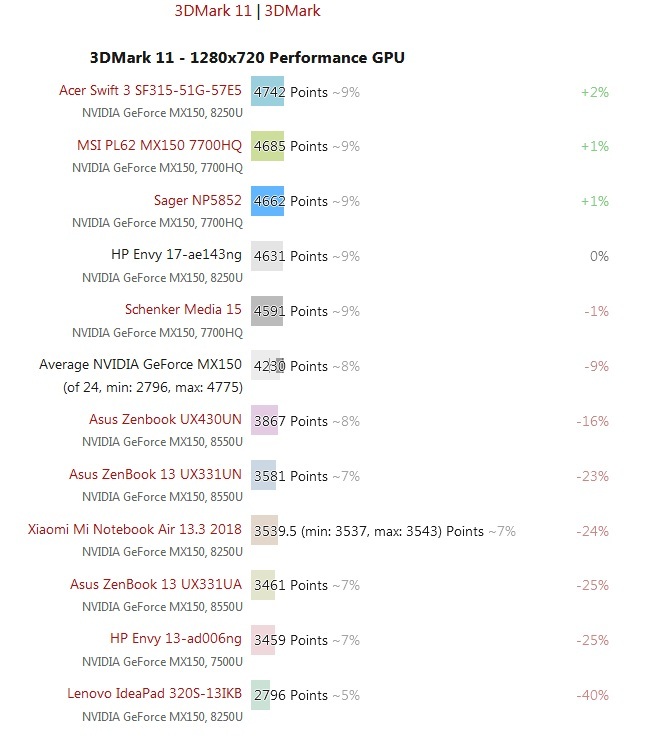 The company also ran 3DMark 11 on a bunch of these devices running the MX150, and as one would expect, graphics performance is significantly faster on notebooks with the ‘1D10’ variant as opposed to the ones with the ‘1D12’. While there’s no way to tell why the same GPU is being clocked differently in different devices without any specific documentation, NotebookCheck says that it believes Nvidia is under-clocking the chip in some notebooks to remain within the 10W TDP threshold for thinner and lighter ultrabook designs. 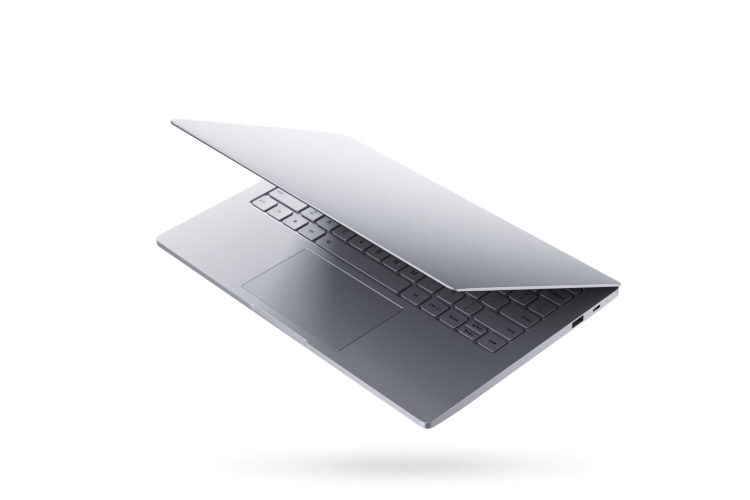 That theory has so far been borne out by the fact that all devices spotted with the 1D12 variant are super-thin ultrabooks with screen-sizes around the 13-inch mark. While the OEMs are well within their rights to clock the CPUs, GPUs and RAMs in their devices any which way they want, it’s disappointing to see that they are doing so without informing consumers about it. That being the case, if you’re in the market for a gaming laptop and have your mind set on the something that comes with the GeForce MX150, do your research before buying to make sure that you’re getting full bang for your buck.